Who says that you need a large plot, plenty of space, and a thick purse to realize the dream of having your own swimming pool? 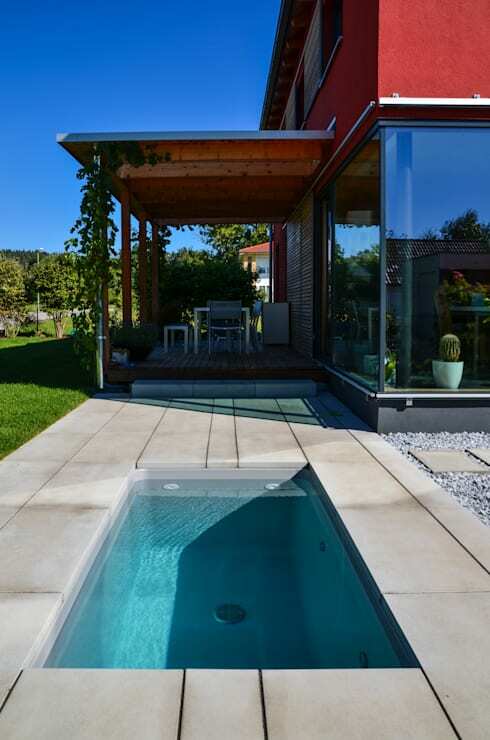 Even on a few square meters and with a limited budget, you can create a great plunge pool at home. How? Here, we show you six very different mini-pools, which, despite their small size, have a lot to offer. Dive with us into the wonderful world of amazing mini pools! Mobile Pools are a great option for those who have a limited budget and who want to use the cool water only during the summer months. 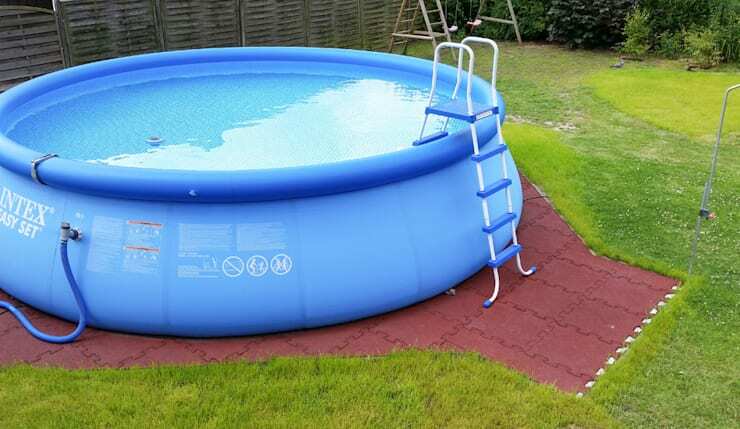 These pools are a cooler option for the whole family on hot days, cheap, and easy to set-up. 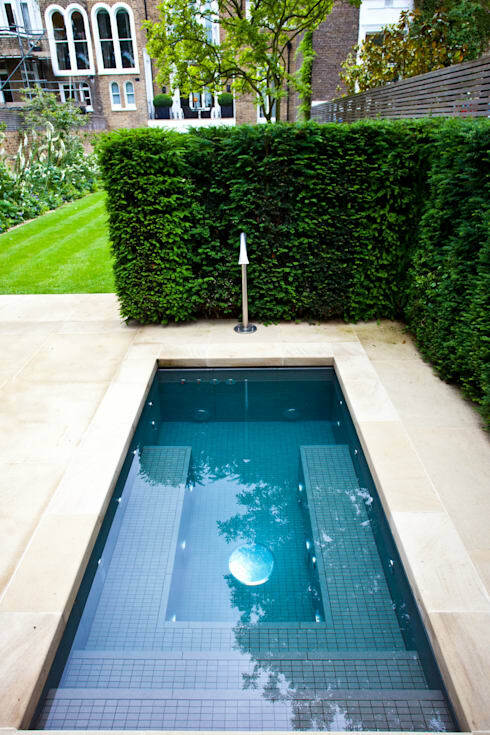 Even small pools can offer a lot of luxury, as this example proves. The water basin is located on a slightly elevated platform in the garden, which can be used as a terrace. At the edge of the pool is a cushioned seat that invites you to sunbathe, but also to enjoy an aperitif before dinner with your feet in the water. And when it gets dark, a spectacular lighting creates a moody atmosphere in and around the pool. The color scheme can be adapted individually according to the mood, while a sophisticated heating system ensures that a pleasant water temperature prevails throughout the year. Our experts from design @ garten have a mini-pool in the program, which can be used all year round. In the summer the pool provides cooling and in the cooler months it is in operation as a sauna dive. When it gets dark, an impressive LED lighting immerses the basin and the surroundings into a moody sea of lights. And whoever thinks the movement is too short for this small pool is wrong: the water depth of 1.35 m is perfect for a round of water gymnastics. 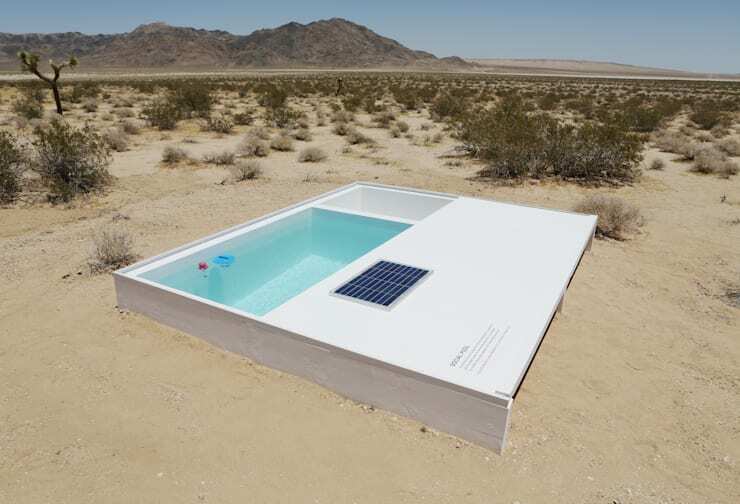 This mini-pool is located in the southern Californian Mojave Desert and offers a warm welcome and a chance to get rid of desert dust and tears. The social pool is a project of our expert Alfredo Barsuglia, who brought the minimalist work of art into co-operation with the MAK Center for Art and Architecture . The special thing about it is that everyone who likes the magical and the hidden desert pool is invited to use the cool water in this unusual place and is thus even part of the extraordinary art project, which plays with opposites and encourages reflection. This indoor pool is the perfect solution for those who do not have a lot of space, but in their four walls still want to fulfill the dream of their own swimming pool. And in this swimming spa, you can not only relax, but also train seriously and really get a good deal: a sophisticated countercurrent system ensures optimal training conditions. 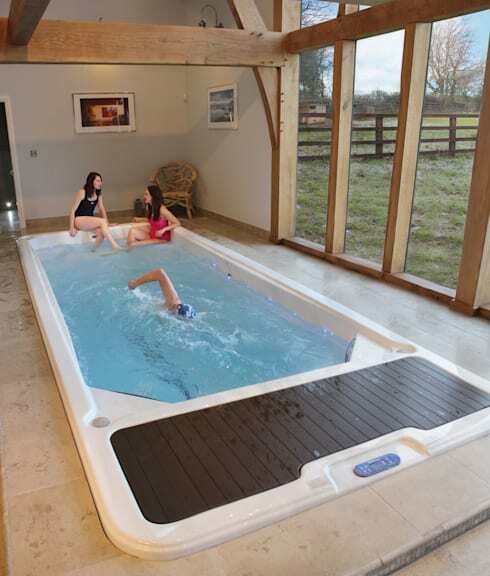 This mini-pool is not suitable for swimming, but has a very relaxing effect on its users, because it offers eight different massage jets, which are tired both under and over water and tense muscles. And the benches are perfect for a relaxing chat in warm water with friends and family members.